At the very top of Heanor Road on the left looking down, used to stand Niffins row. These houses were demolished in the 1960s and it is now a grassed area separating Nottingham and Heanor Roads. 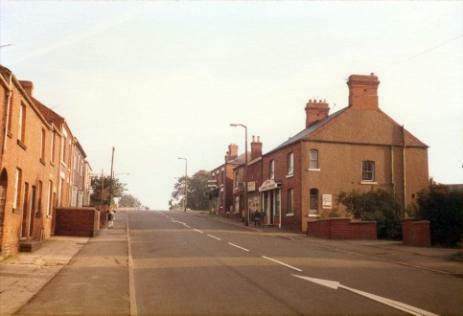 A little further down on the left are three shops and a house, many people in the village will remember the first one being Colsons Grocers and before that, Hesketh’s and earlier still William Eyre's Grocers and Drapers. The last shop in the row was built by William Henry Peake who was a Watch maker and Jeweller, later this became Charles Lynam’s Fruit & Veg shop and later “Parkins Chip shop” and more recently “Codnor Hand bell Tuners”. On the other side of the road at the top next to the Bethesda Methodist Chapel once stood a small farmstead called “White House Farm” owned by William and Becky Goodall. In later years this was demolished and became the location of Bernard Wheat’s joinery business and later purchased by Cattermole’s Builders. Just below at 69c was Elijah Blakey’s cobblers shop and a little further down and set back just behind number 65 was Mr Handley’s Smithy. Fig.1 A view looking down Heanor Road circa. 1920s. 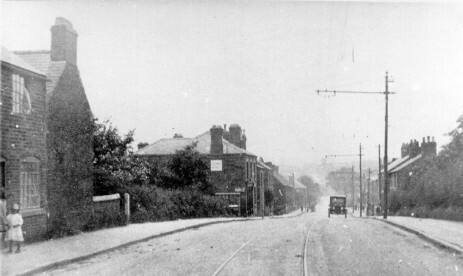 The houses on the left are Niffins Row (now demolished), also note the tram lines in the centre of the road. 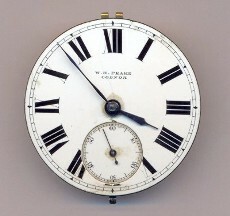 Fig.2 A Hanging Regulater Clock made by William Henry Peake of Heanor Road Codnor, late 1800s. 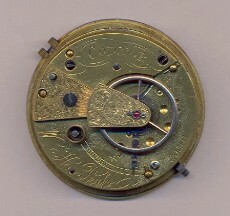 Fig.3 A Pocket Watch movement marked “W.H.Peake Codnor” This is a standard fusee watch movement from the late 1800s, which means it is unlikely William Peake made the movements himself but instead purchased them from the manufacturer and engraved them “W.H.Peake Codnor”. Just below William Henry Peake’s shop was the Wesleyan Chapel and “Chapel row”. Chapel Row consisted of two rows of terraced cottages, one either side the road and finishing at Jessop street. This was the most populated area of Heanor road and gave rise to the alternative name of Chapel Street. 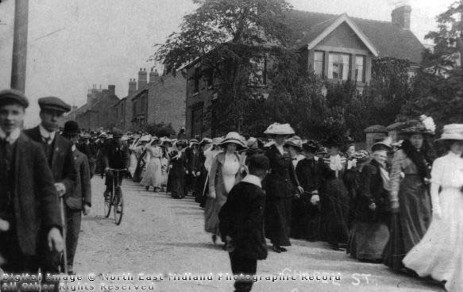 Fig.4 This picture taken around 1910 shows the ‘Band Of Hope’ procession marching past Chapel Row. You can see William Peake’s shop on the left and also the Wesleyan Chapel. The children are from the Wright Street chapel Sunday school and they were joined by Sunday Schools from other chapels as well as Codnor Brass Band, who accompanied them on their march to Codnor Monument. Fig.5 This view looking up Heanor road (Chapel Street) in the 1980s shows only Chapel Row cottages on the left above Jessop Street still survive. The Wesleyan chapel on the right was demolished in 1967 and the cottages soon after. The shop at the top of the hill is Colsons Grocers, which in this picture had just closed down and was up for sale. The next building down is a private house, then there is ‘Codnor Hire Service and Joinery’ and nearest to the camera is ‘Codnor Hand bell Tuners’. Adjoining the end of Chapel Row on the corner of Jessop Street is a building that for many years was a drapers. 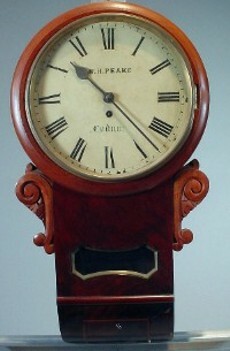 It was owned in the 1930s by Edith Cope and later on by Nellie Daykin. It was also the location of Codnor Library during the1960s until it was turned into flats. On the lower side of Jessop street was Bradford House, this was also a Drapers that was run by the Byers Family. 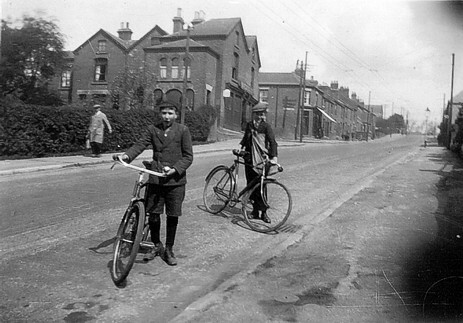 Kenneth Alwyn Bunting in the foreground and his mate, probably on their paper-round. The Tram lines are no longer evident and two rows of over-head cables are visible, which means the trolley buses are in use. This together with the approx age of Kenneth, dates the picture to around 1935. Fig.7 Heanor road circa 1910, this picture shows the premises of Byers & Co (Bradford House). This building later became a private residence before eventually being turned into flats. It was demolished in 2007. James Byers was born in Felton Northumberland in 1857, he married his wife Mary Rigby in Scotland Gate, Northumberland on 24th May 1877. They moved to the Slack’s houses in Codnor with their two daughters Annie and Maggy in about 1881. James managed the tailoring business of Mr Ezra Chester until he died in 1891; he then took over the business and premises, and commenced trading as Byers & Company, drapers and Gent’s outfitters. They had another five children, Clara (Sissie), James Rigby, Charles, Thomas Richard, and Ned. Fig.8 It was common practice for some of the more established businesses to issue tokens for use in their stores. 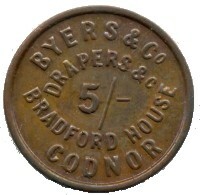 This is a 5 Shilling Token for purchasing items at Byers & Co. Codnor. 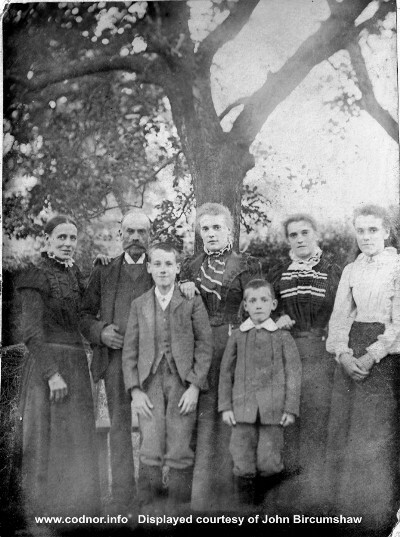 Fig.9 The Byers family in the garden of Bradford House, Heanor Rd. 1902. When James Byers retired in 1926 his assistant, Joe Blowers who was married to his daughter, Annie Byers took over the business. James Byers died in 1937 and is buried in Crosshill cemetery. Tom Eley married Sissie and they subsequently moved to Australia. Charles Byers won a scholarship at Heanor Technical College, and on completion he expressed a wish to move into Journalism. However his father new this was a precarious business so he convinced him to first study a recognised trade. He was sent to Nottingham University to study engineering under professor William Robinson, author of ‘Gas and Oil engines’. He won two more scholarships there and graduated in 1906. Charles sailed to America that year were he put his new found engineering expertise to good use. He worked for the ‘Sullivan Machinery Co’ who manufactured mining machinery, then Allis-Chalmers & Co in their electrical shops in Ohio. In 1908 he returned home briefly and then went back to America were he started work with the Vermont Farm Machinery Co, he then moved on to the Semet-Solvay Process Co before moving into journalism with the Ottawa ‘Evening Journal’, the Hamilton ‘Spectator’ and the Montreal ‘Daily Witness’ eventually settling down as assistant editor for the monthly publication ‘Canadian Machinery’ in 1913. Charles Willaim Byers died in Canada in 1956. On the opposite side of the road from Jessop Street and a little further down the hill is the house built by Joseph Peake. He later built a shop extension on to the house, which came right up to the pavement. 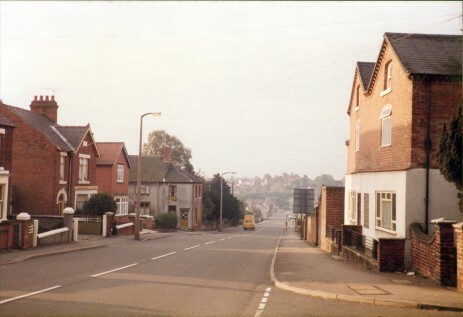 Fig.10 A view looking down Heanor Road in the 1980s. Bradford House is on the right and on the left further down the hill and sideways on to the road can be seen the House and shop once owned by Joseph & Fanny Peake . 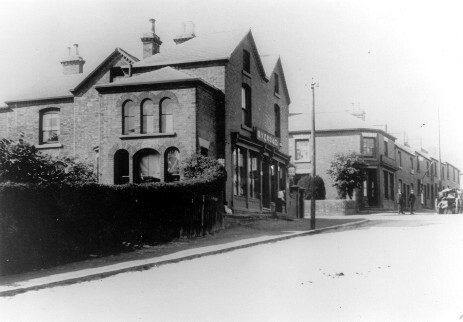 Up the side of the house was a small yard and joinery shop owned by his son (also called Joseph) he later sold the business and built the big house just below the old French horn pub on Nottingham Road were he opened a market garden. 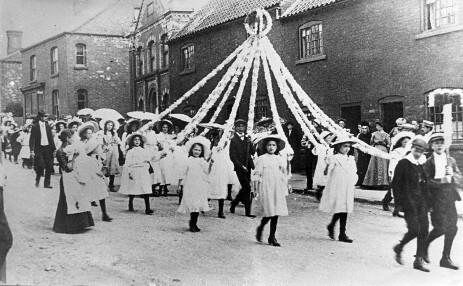 Fig.11 Possibly another Sunday school walk, photographed between 1900 and 1920. Note how the men and women walk in separate lines. They have just past the entrance to Peaks Yard and the house and shop of Joseph Peake. They are just about to pass Dr. Thomsons house. Dr. George Thomson came to Codnor in 1901 and moved his practice to ‘Fettercairn House’ in 1909 (this has now been renamed Goadby House). Fred Thorpe notes in his book, ‘The Heritage of Codnor & Loscoe’ that Dr. Thomson owned the first motorcar in Codnor. 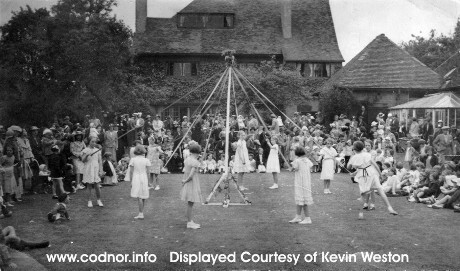 Fig.12 Maypole dancing at a garden party at Fettercairn House, the residence of Dr. Thomson. Image dated 23rd June 1937. 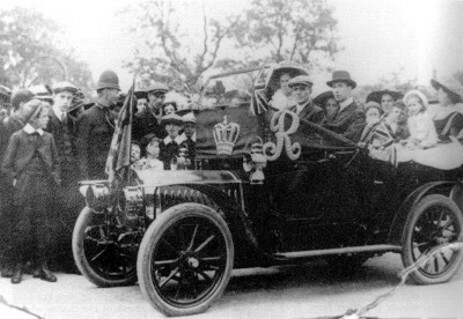 Fig.13 Dr.Thomson at the wheel of his car at the planting of the tree in Codnor Market place to commemorate the coronation of George V 1910. C.W.Ridyard (chemist) is in the passenger seat. The other passengers are Mrs Ridyard, Mrs G Thomson, Mrs Eyre, Vera Ridyard and Keith Thomson. The car is a French De Dion Bouton. Following the First World War Dr. Thomson was the Chairman of the Codnor & Loscoe memorial committee who were responsible for the Lych Gate and War memorial Plaques at the entrance to Crosshill cemetery. Dr Thomson retired in 1945 and is remembered by the annual Thomson tea for the elderly in the area and also Thomson Drive was named after him. His practice was taken over by Dr G.R.Lunn who was an ex navel officer. He retired in 1975. Below Goadby House in the early 1900s stood just a few scattered houses. One of these was owned by Mr Martin the candle maker. He had a wooden shed adjoining his house were he made tallow candles for the colliers. In the book “My Village” J.M.Severn describes the rendering process, which involved the boiling of animal fats to make the candles, he says that it created a nauseating stench, which permeated the whole of the neighbourhood. 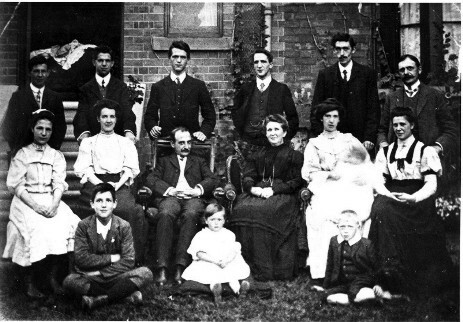 Left to Right: Hannah Martin (nee Hogg),Edwin Martin (Chandler), William Edwin Martin (killed in WW1), Annie Martin (married David Tarlton), Harry Martin (became a Tailer and married Olive Wild), Sarah Mariah Martin (married Charles John Lilley), and Joyce who remained unmarried and looked after her parents in later life. Near the bottom of the hill on the left beside the track that leads to Phillip’s Bottom’s is a shop that for many years was owned by Bert Foulds. This is now owned by Chris & Malc’ and is one of the last family run general stores left in Codnor, most of the others having succumbed to the low pricing of the big supermarket chains. In the early 1900s no houses existed on the righthand side of the hill below Hollywell Avenue. The only ones being at the bottom of the hill on the corner of Cross lane (Hob Lane). Here was a cluster of houses and a shop, which were known as Hardy’s Corner. These were demolished in the late 1960s. 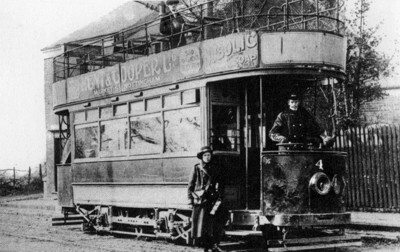 Fig.15 Tram Car No.4 at Hardy's corner, Heanor Road Codnor 1916. The entrance to Cross Lane can just be seen on the left. Motorman Martin at the wheel and the ticket collector was a Belgiun refugee called Emla. The Origin Of Heanor Street Names, Heanor & District Local History Society publication 1992.